100-SS-DST is rated 4.3 out of 5 by 36. Rated 4 out of 5 by Paul from Easy to install Easy installation. Adjusting hot water is a little annoying due to the small travel of the handle between hot and cold. Rated 5 out of 5 by Mr Wonderful from Easy Install Purchased in Nov 2018 to replace a 20 year old classic. It was in need of a rebuild kit and finish was getting ugly. 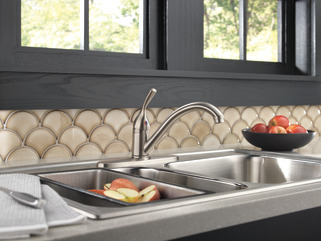 Chose to replace unit with new diamond technology faucet. Excellent price and free ground shipping. Install was pretty straight forward after figuring out how to connect PEX lines to 3/8" copper lines. Very pleased so far. Rated 5 out of 5 by Barb from The handle is The handle is just the right height for me. I didn't want one too high! Rated 4 out of 5 by Margery from Looks good Have had this faucet installed for about 2 months and I'm still trying to turn it off in one move. It drips then I have to make a second attempt. Rated 5 out of 5 by Ltb3 from Nice product Purchased a couple weeks ago. Very easy to install. Works well. 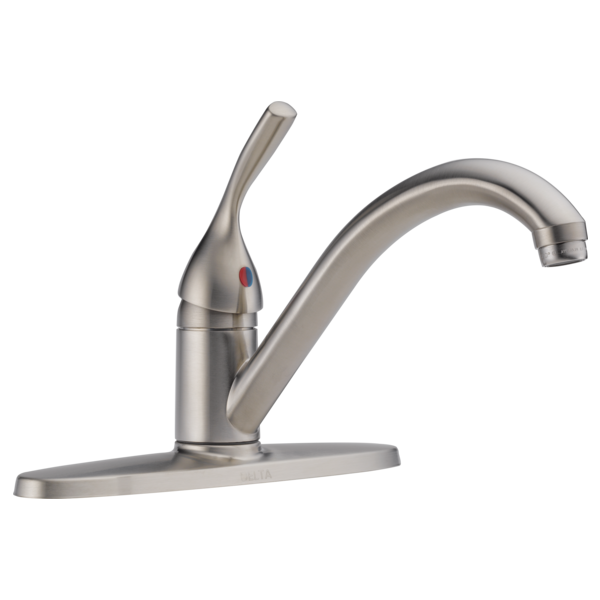 Rated 5 out of 5 by lexbyam from This is a great faucet! This is great! I love this faucet. 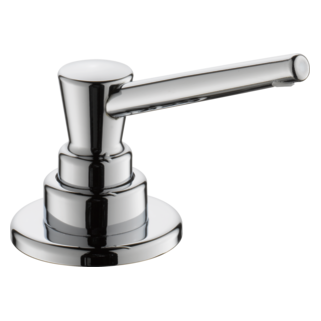 Would like to buy a swivel aerator for a 100-dst faucet. Where can I find one? some type of metal, thought was brass. 3 hole installation for 100-DST? I spend the summers in northern Minnesota and when the winter arrives I close my place down (drain all water lines). How do I winterize this faucet? winterize by draining the lines and faucet or charge the lines with anti-freeze like a travel trailer. Thank you for your question. 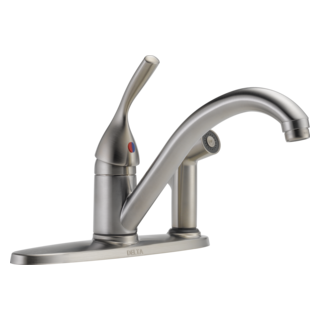 Delta Faucet model # 100-DST can have a sprayer added to it, but we recommend using model # RP60097 sprayer. 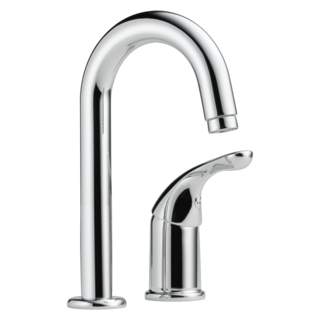 You will also need a spray support which is Delta Faucet model # RP6015. Is a spray attachment available for my faucet? Can I remove chrome plating to suit with number of holes in my old sink. My Sink has only one hole and I was thinking to remove the chrome plating to suit. Is it possible to remove the plating? is the handle metal or plastic?